The creator of the hit show Girls -- Lena Dunham -- took to Instagram to reveal her new platinum blonde bowl cut over the weekend. 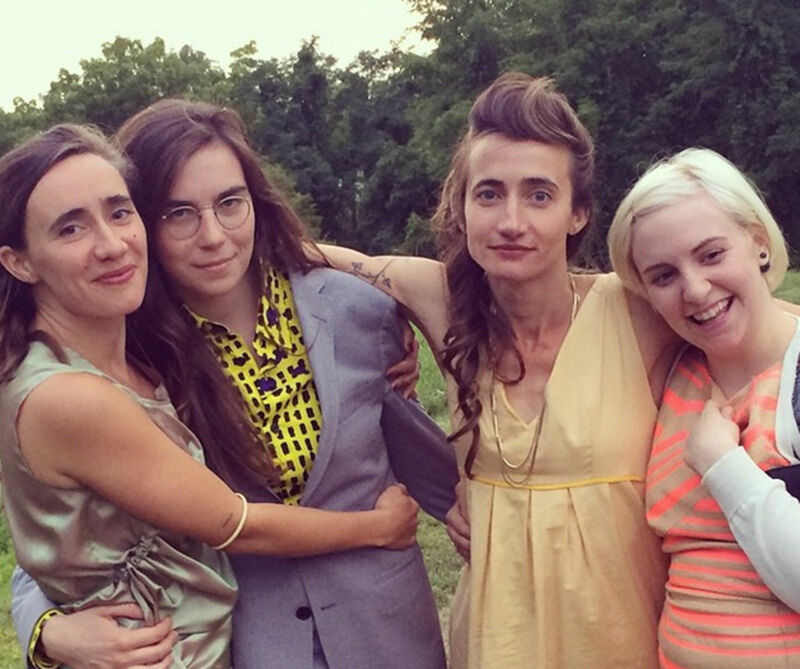 Some questioned whether Dunham’s hair was real or not, but she proved that the look was not a wig on Saturday, August 16, when she posted another photo on Instagram of her at a friend’s wedding. According to MTV.com, Dunham’s style change may have been prompted by Sia’s trademark ‘do? Seems legit – do you like her extremely blonde look? Tell us on MODERN’s Facebook! There are few beauty makeovers as dramatic and nerve-racking, as dyeing your hair platinum blonde, particularly being a brunette. Lightening up – especially if you have dark hair – can be an intimidating process, but based on this recent Hollywood trend, stars continue to suggest that blondes just may have more fun. The experts at Pravana say it is possible to achieve platinum color while still keeping the integrity of the hair during bleaching. Pravana’s Pure Light Power Lightener gently and effectively lifts and lightens natural hair without affecting its structure. Upkeep for blondes is simple with the Pure Light Brightening Shampoo and Conditioner – a special Dual Ultra-Violet Dye System that neutralizes yellow tones. Keratin amino acids, silk amino acids and wheat protein provide vital protection and strength, while lightweight sunscreens help block the damaging effects of the sun to protect hair. How to use Pure Light: Mix one part Pure Light Power Lightener to three parts chosen PRAVANA Creme Developer to the desired consistency. Apply to dry hair. Expert tip: Add one NEVO Hydra Pearl in every mixed bowl of Pure Light Power Lightener.